Recently the treatment landscape of metastatic melanoma has changed dramatically with introduction of targeted therapy and novel immune checkpoint blockade agents. However, acquired resistance to targeted therapy and relatively low response rates to immune therapy poses a major problem. Thus, increased knowledge in melanoma biology and identification of novel therapeutic strategies is a necessity to further increase survival. 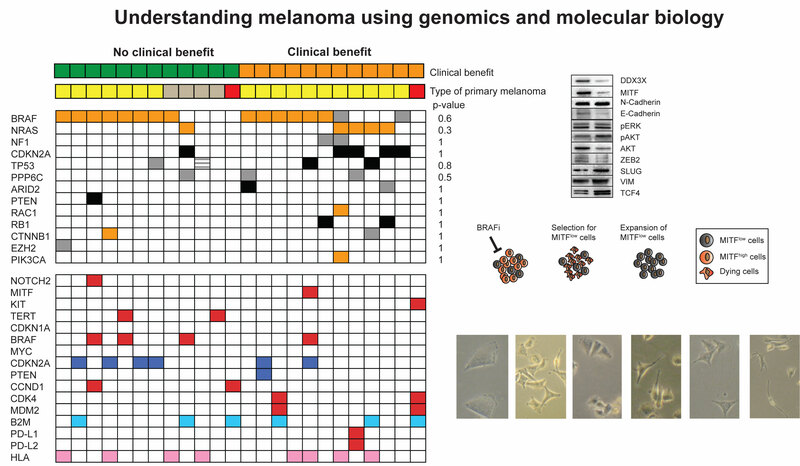 We posit that using human tumor molecular data as a foundation for functional studies will lead us to novel insights about the fundamental biology of melanoma as well as provide us with inspiration for designing novel therapeutic strategies. Accordingly, our research program is focused on genomic tumor biology and the subsequent functional elucidation of biological mechanisms. We are also part of international melanoma consortia such as MELGEN (www.melgen.org) and GenoMEL (www.genomel.org).